Yesterday after I wrote about my necklace, I remembered how as a kid I used to carry around a good luck charm in my pocket. In elementary school alone, I went to four different schools, and often had trouble making new friends in the beginning. 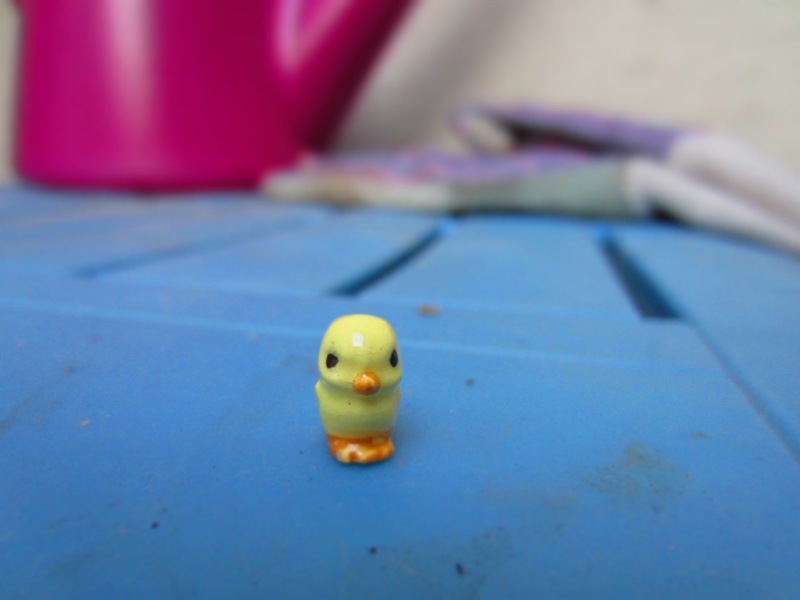 Somewhere along the way, I devised a plan to carry the little porcelain chick below in my pocket. Just like the necklace, it helped to give me both courage and comfort when I felt alone. Given its small size, I’m amazed that I never lost it! Now that I teach kids, the chick is a good reminder that sometimes we all need something magical to believe in. 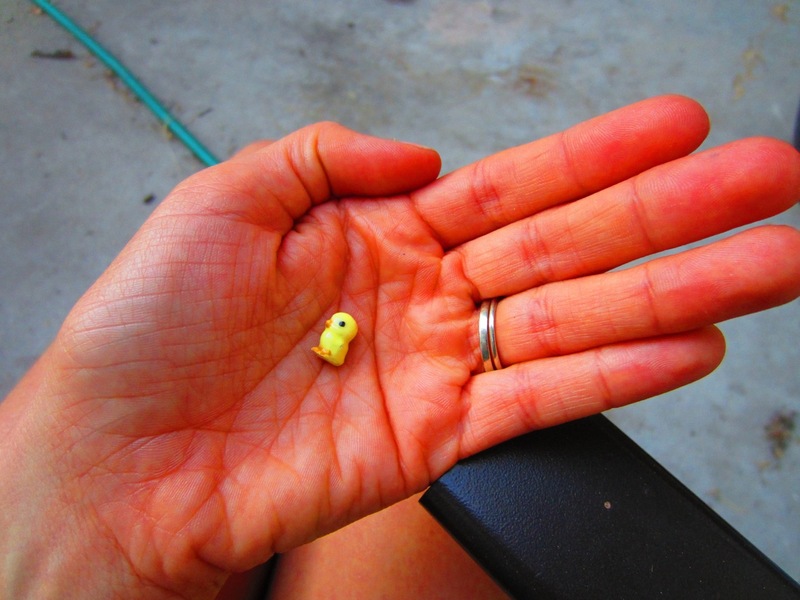 I’ve noticed that many of them carry little toys in their pockets that I confiscate throughout the day. It never occurred to me that some of these toys might be a source of strength when they need it! Tomorrow I will bring my little chick to class and share my story with them. Maybe it will mean something to some of them. I just hope that I can help make their childhoods a little happier, (even if I still have to temporarily confiscate their good luck charms from time to time! ).